Max Ernst’s painting, La Joie de Vivre, was the inspiration for a remarkable piece of body art, by Edinburgh College student Lori Walker, photographed recently in the temperate house of the RBGE. 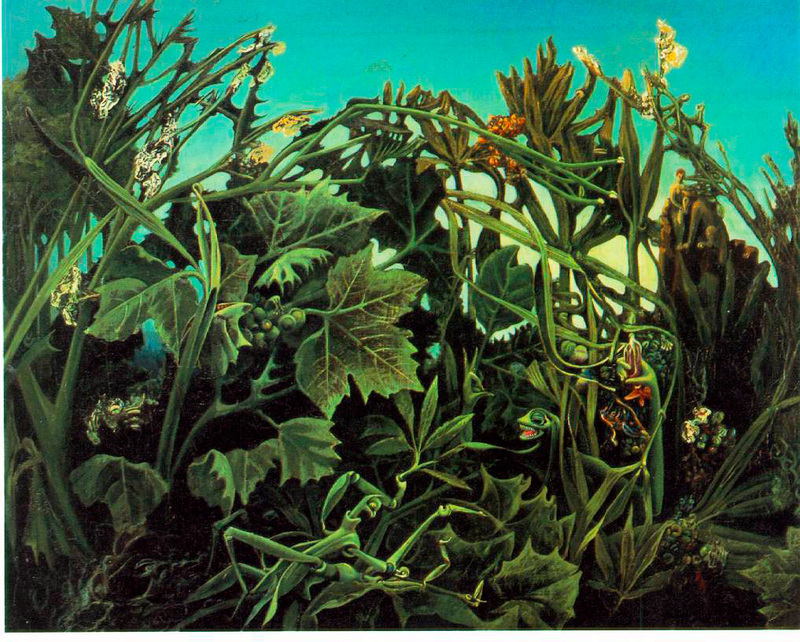 Ernst painted the ‘jungle’ scene in 1936, and while the lushness of the scene suggests the tropics, the plants are European and the sense of grandeur has been created by including small human and animal figures among the rampant foliage. The painting hangs in the Scottish Gallery of Modern Art (Modern Two) where it was seen by Lori and used as the starting point for her own remarkable interpretation of the work directly onto the body of her friend and model Shirley Hamilton. In the completed body work Lori has captured the spirit of Ernst’s work in both the vibrancy of the colours and slightly grotesque creatures that lurk between the leaves. Lori describes her experience: ‘On the day of my assessment I felt prepared, however, painting a human body from head to toe has its challenges and is taxing both mentally and physically. It took me 6 hours to complete including fitting in essential breaks for my model Shirley to move and stretch. Luckily, we got to the gardens with still just enough daylight to capture the best images’. Having spent so much effort on creating this ephemeral work Lori was keen for it to be photographed in a somewhat more interesting and appropriate setting than the college studios. 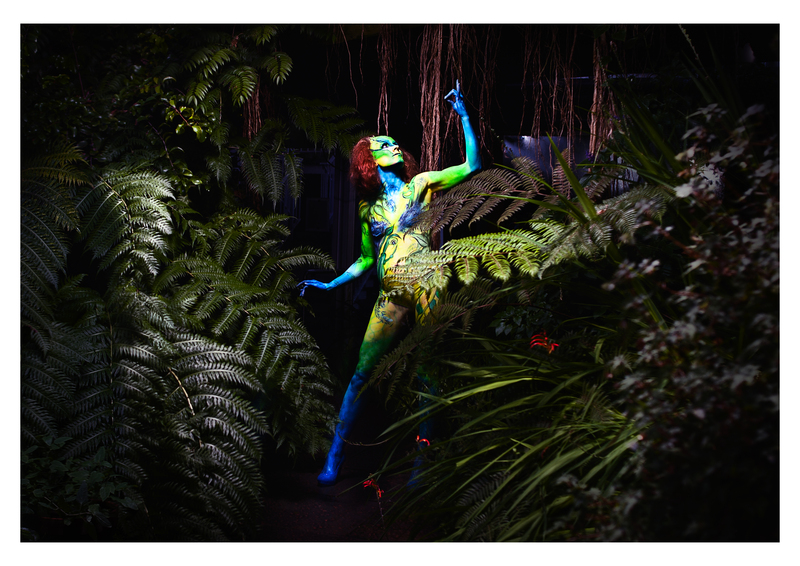 As she had previously helped out with face painting at Botanics events we were pleased to cooperate in letting her and photographer, Edina Nagy take a series of amazing, atmospheric shots in the Glasshouses among bananas, ferns and other temperate plants. The results are so incredible we were keen to share them through Botanics Stories. Stunning design and interpretation onto the body by my fellow painter Lori. I’m so proud of her boldness and beauty of this work.